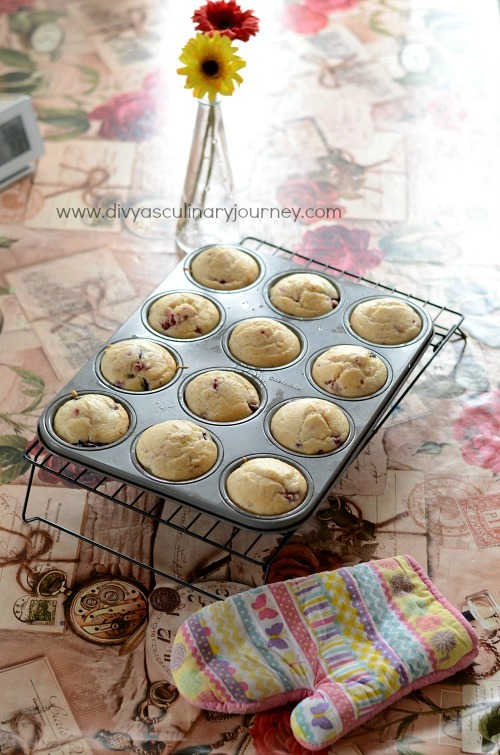 These soft and moist muffins are made with combination of berries like raspberry, blackberry, strawberry and blueberry, but made without egg and butter. 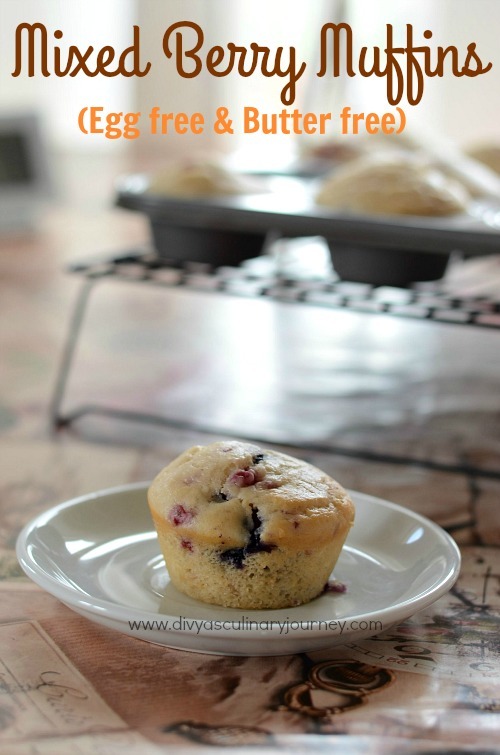 This muffins can be had for breakfast or as snacks in the evening. Pre-heat the oven to 350F/ 180C / 160 Fan / Gas Mark 4. 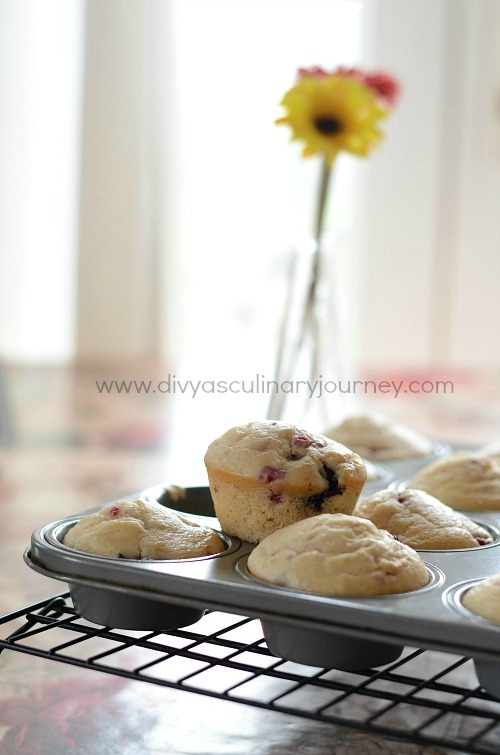 Prepare the muffin pan by greasing and flouring it or simply you can use cupcake liners. Wash clean and chop berries. You can coat them with a tablespoon of flour and keep it ready. Sieve together flour, baking powder, baking soda and salt and keep it aside. In another bowl, mix yogurt and sugar well, then add oil, milk and mix well and then add vanilla extract and mix well. Now add the flour coated berries into the batter and mix well such that it is evenly distributed in the batter. Baking time varies with oven. Check yours accordingly. Mine took around 18 minutes. I have used one cup of mixed berries, that is 1/4 cup each of strawberry, raspberry, blackberry and blueberry. You can adjust the combination of berries as per your choice.